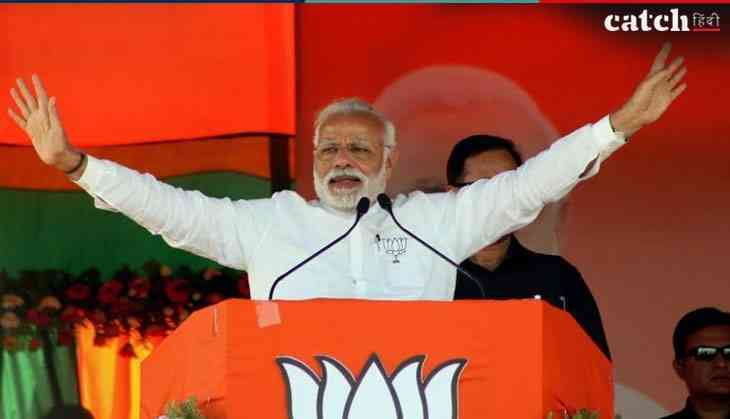 The Bharatiya Janata Party (BJP) is set to observe the swearing-in ceremony of the Janata Dal (Secular)-Congress coalition government on Wednesday as 'Anti-People's Mandate Day' in the state. In a statement on Tuesday, the BJP termed the alliance between the Congress and the JD-S as an 'unholy' one, alleging that they "hijacked the people's mandate". BJP president for Karnataka, B. S. Yeddyurappa will lead the demonstrations in Bengaluru. "The Congress and JDS have hijacked the people's mandate and entered into an unholy alliance. On the day this unholy coalition government takes office, that is tomorrow, Wednesday, 23.5.2018, the BJP has decided to observe this day as "Anti People's Mandate Day," the statement read. The statement also mentioned that thousands of party functionaries will stage black flag demonstration throughout the state. "In Bangalore, state BJP President B.S. Yeddyurappa will lead the demonstration at 11.15 a.m. at the Mahatma Gandhi statue, Opposite Hotel Maurya, Ananda Rao Circle. State unit general secretaries Kum Shobha Karandalaje, Aravinda Limbavali, R. Ashok, N. Ravi Kumar, MP P.C. Mohan, city President Sadashiva, office bearers and hundreds of party functionaries will be present," the statement added. H. D. Kumaraswamy's swearing-in ceremony will be held on Wednesday in the presence of a multitude of eminent leaders. Other notable guests include the founder of Rashtriya Lok Dal, Ajit Singh (also an ex-Union Minister), actor-turned-politician and founder of Makkal Needhi Mayyam, Kamal Haasan and Dravida Munnetra Kazhagam (DMK) chief M.K. Stalin.